I FINALLY was able to take pictures and post about my kitchen. It is such a huge relief to have it done. Just as I got it all cleaned up and ready to shoot, we had a HUGE storm come out of nowhere. It was intense! It got so dark and it made it hard to get good pictures. I had to edit them like crazy and that always makes the quality of the pictures less. But I just couldn’t wait to share this with you! I am sure one day I will take some better shots, but these work for now. I was going for a French Country vibe. I am really happy with how it turned out. I love how fun the brown and cream polka dot curtains are! I love all the dark brown accents that tie in the floor and my dining room table. 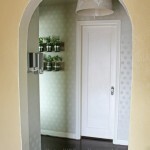 Along with the garbage cabinet, we also had a tall pantry buitl and a cabinet for above the fridge. The floors are from Home Depot. They are PERGO and it is called Cross Sawn. I adore the floor!!! 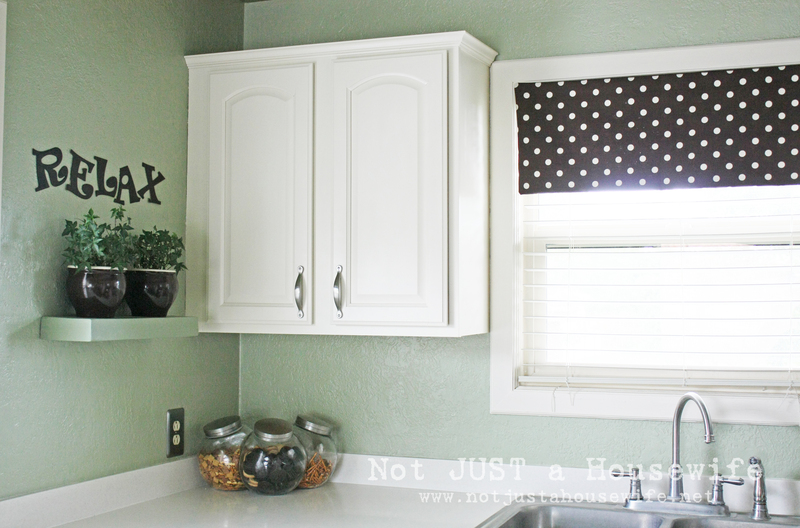 If you missed my post on how I painted the cabinets you can see it HERE. I spray painted them using Rust-Oleum’s Heirloom White. They have held up really well so far. My one year old has colored on them with pen, marker, and pencil so far (mulitple times, God bless him) and I just use a rag or the magic eraser to scrub it off. I also added molding to the top of the cabinets. I think it makes them look more finished. 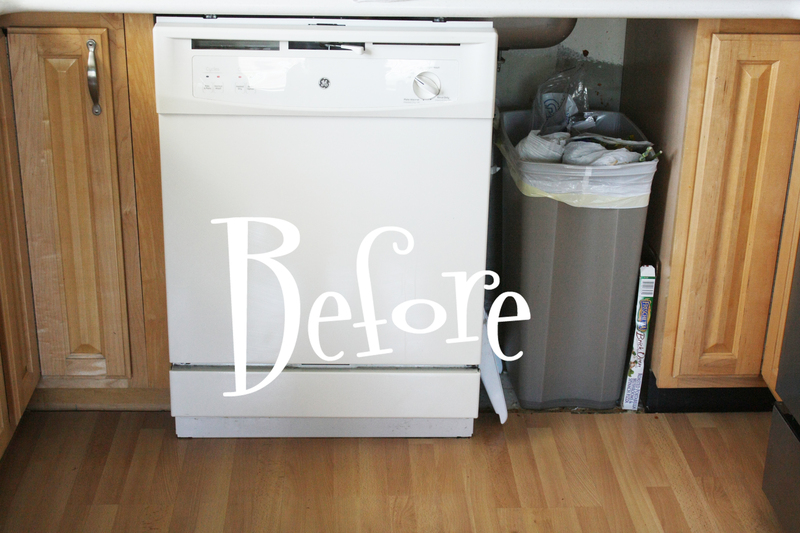 Thank you for letting me share my kitchen redo! Fantastic! I can’t believe the cabinets are spray painted. We will be looking for a new house soon and I’m pinning this so I know how to make a sad kitchen happy :) Thanks for sharing. Looks great! I would love to have a pull out cabinet for my garbage can. Glad to see the hubs got the ceiling done. Love the polka dots too. It looks wonderful Stacy! I love the colors and the black and white polka dots look perfect. THe ceiling is so fun. Beautiful! 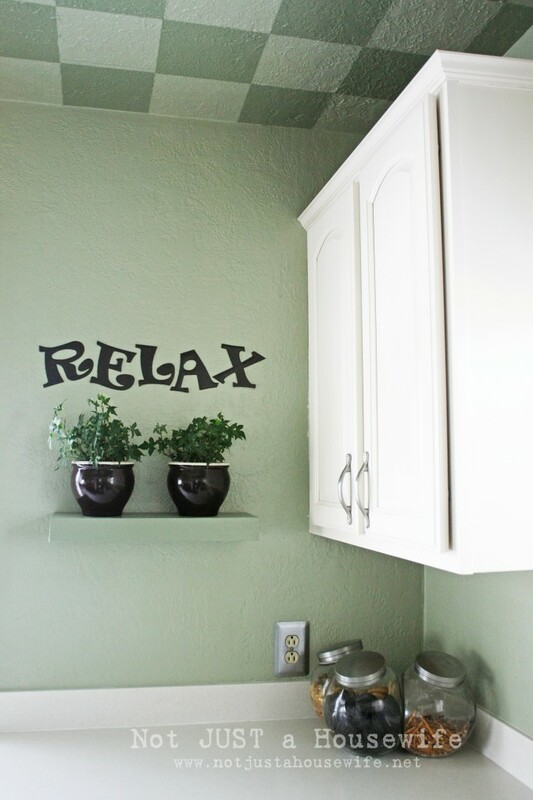 Love the details “RELAX” and the little pots on the wall. I love the idea of a hidden garbage can…nice work!!! Now enjoy!!! Love It! I think the white cabinets make the kitchen look roomier. so excited to see this!! it looks amazing! my kitchen cupboards have the same curved topped insert bit as yours – and i haven’t yet found another person that has repainted in white with these to show me how they would look. 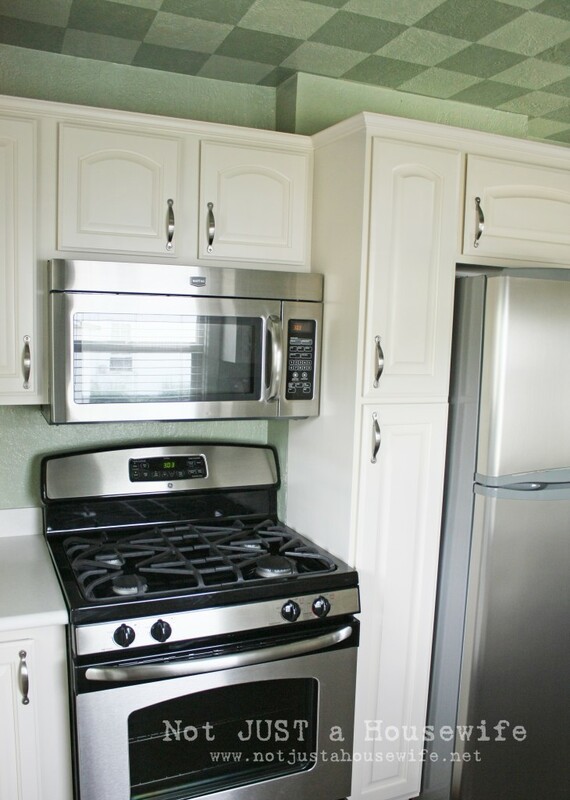 (my kitchen is cream laminate – from the previous owner) – but i’ve always wanted to go white to crisp it up. now – just to convince the husband of it!! you must be so so pleased – it looks amazing. Wow! Beautiful! You really paid attention to details. Your kitchen looks awesome!! I love the checkered ceiling. How did you guys do that without killing your necks and shoulders?!? Wow! It looks great! Having a redone kitchen is so nice. We are working on ours. All that is left is counters and backsplash, and window treatments. 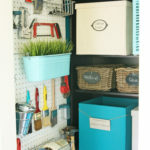 I have a similar looking lower cabinet beneath a window in my kitchen as well. How do you use yours? I use mine as a bakers nook since it makes it easy to knead bread without killing my shoulders. The kitchen looks amazing! You 2 did a fabulous job! 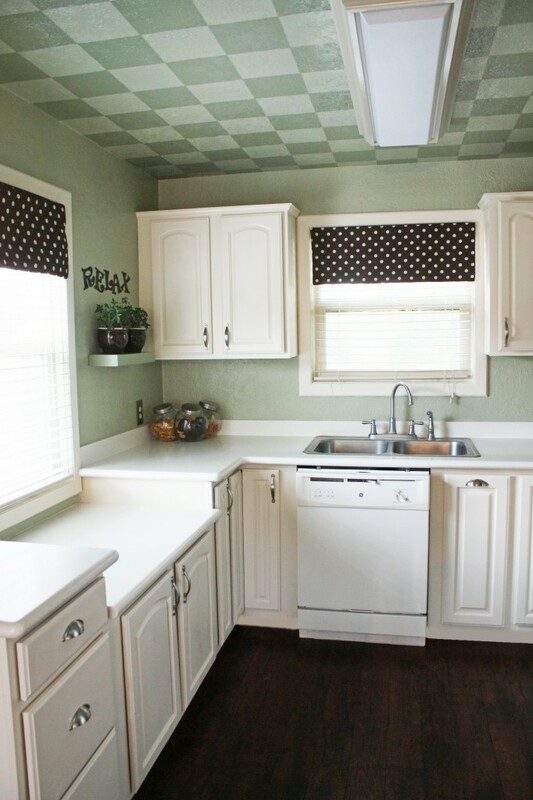 Love the checkered ceiling and the polka dot window treatments! The cabs look brand new painted white. Terrific transformation! Thanks for sharing. Your kitchen is wonderful! Please, please, do a tutorial about your ceiling. It is really fantastic! i was noticing in the pics that your dishwasher is directly under your kitchen sink. How is that even possible? just curious…. Hi! I saw you kitchen over at CSI! Oh, it is so lovley! You’ve done a wonderful job! And your ceiling is gorgeous! What an outstanding transformation! Your kitchen turned out great. The new look is amazing and you should be so proud. Thank you for using Rust-Oleum to give your cabinets a new look. Keep it up! Stacy that turned out so awesome! It is just beautiful…LOVE it!!! You did a fantastic job – WOW! Wow Stacy! Killer job! Love the cabinets, the floor, the curtains….pretty much everything. It looks awesome! 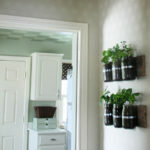 LOVE what you did with your kitchen…very inspiring! And I love, love, love that floor!!!!! How does the dishwasher fit under your sink like that? I’m confused. love love the transformation! what a huge difference! 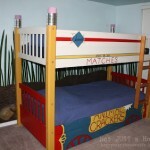 I can imagine a remodel like that took a lot of work but i think it was so worth it! love it! A little paint, a huge amount of work and great vision, wonderful combo for a fabulous new kitchen! Wow, it looks amazing! Love your window shades and the painted ceiling. Great job! Wow! That looks amazing. We’ve been updating our kitchen too, but it’s got a ways to go. 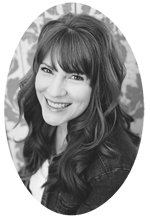 Nice to meet you through Traci’ at Beneath My Heart. The white cabinets definitely brighten up the room! Great job! That came out so great! the “after” is so soothing! Ah I love white kitchens! I also love the big tall cabinet, they are so useful. We plan to add one to our new kitchen wall soon too. 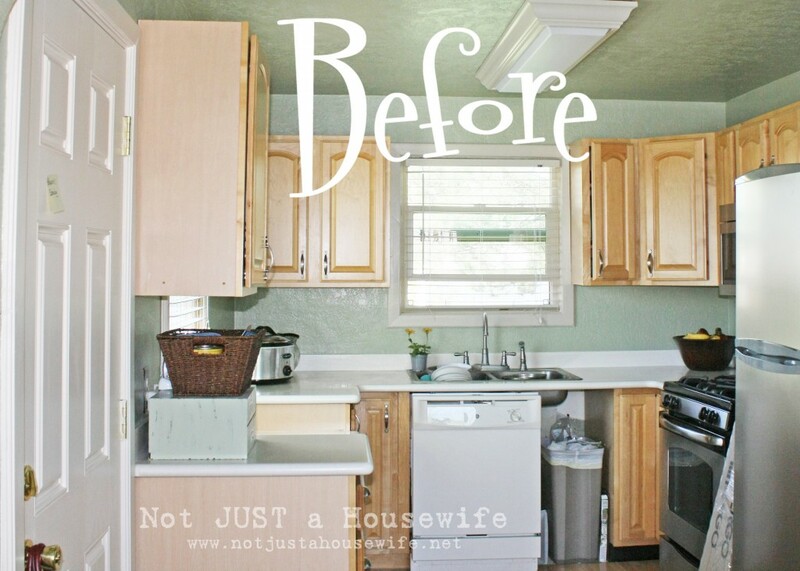 Your kitchen turned out amazing! 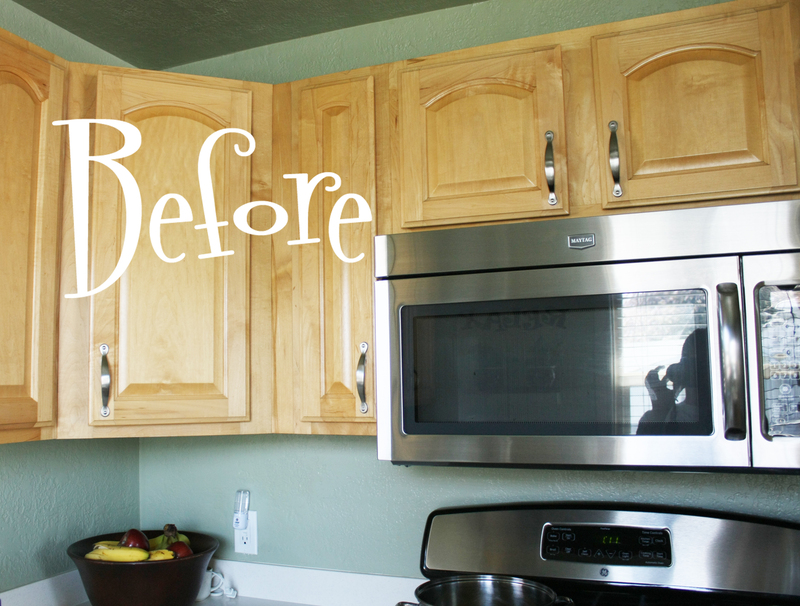 Love your painted cabinets…it is so much work! I painted my upper cabinets last summer and still haven’t gotten around to doing the lower cabinets because I dread the amount of work that goes into it. 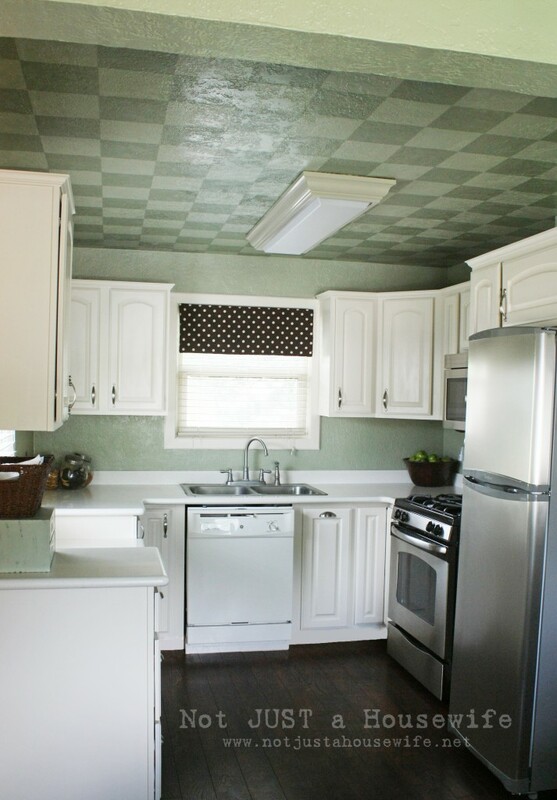 I love your painted ceiling…so clever! Ooooh! I LOVE, LOVE, LOVE this! I’d really love to have you post this on my linky party!!! The party is open for a few more days. It turned out just beautiful Stacy! 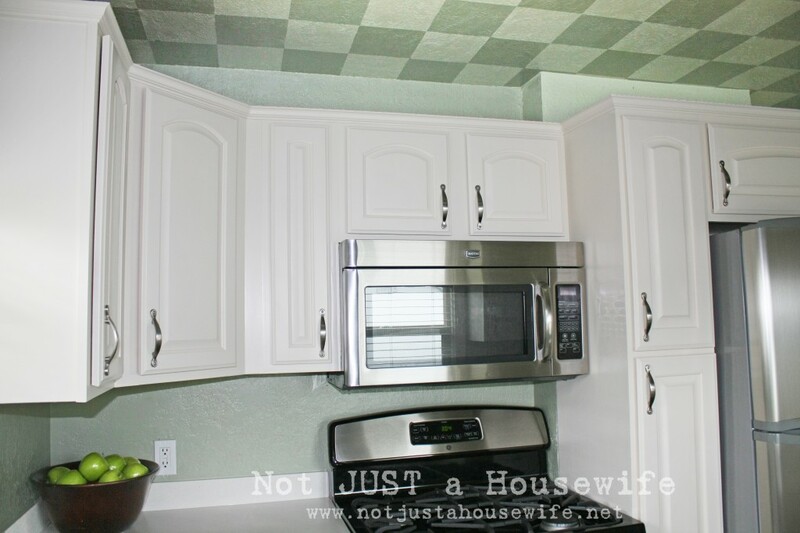 I am very jealous of your painted cabinets. I planned on painting ours this summer, but instead I am snuggling a baby. Not that I’m complaining! Big improvement! Looks amazing! Yeah for you! I wish my kitchen was redone!!!!!!!! super duper cute! thumbs up! 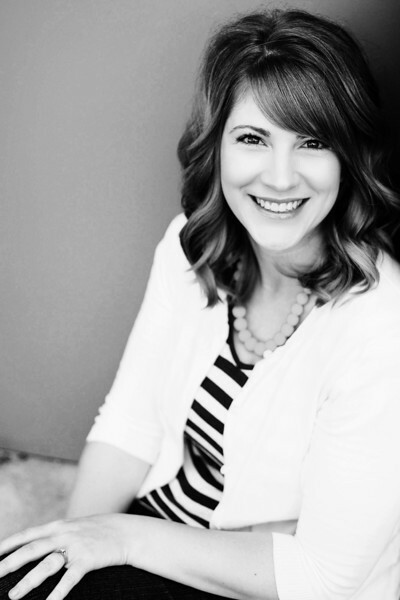 I love this project so much I featured it at my weekly Hookin’ Up with HoH Link Party! Congrats! love your kitchen!!! and yep, the molding at the top makes it, doesn’t it? you should be proud!!! beautiful!!! What an amazing makeover, I just love it!!! Paint is a miracle worker! I love your kitchen! I’m really curious about the under the sink dishwasher. We’re going to be redoing our kitchen and I don’t currently have a dishwasher. I was thinking of skipping it because I’d rather have cabinet space than a dishwasher. However, there really isn’t much that you can put under your sink. Any suggestions on how to go install a dishwasher under the sink? Did you purchase the curtains or did you make them? I love the brown and white polka dot. I would rather purchase them instead of making them. I am not the best with a sewing machine. I have never seen anyone have a dishwasher under a sink? I didn’t know if was even doable? Is this just a regular dishwasher or something special. I am excited to think that I could possibly have a dishwasher in my kitchen. Please let me know more details. Great job! Looks amazing. LOVE the kitchen! I’m going to paint my kitchen table, chairs AND cabinets this summer! I hope mine turns out as well as yours did!!! Awesome job! 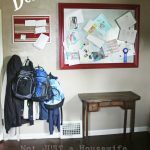 I found your website today and I am hooked! Wow, looks great! What a transformation! 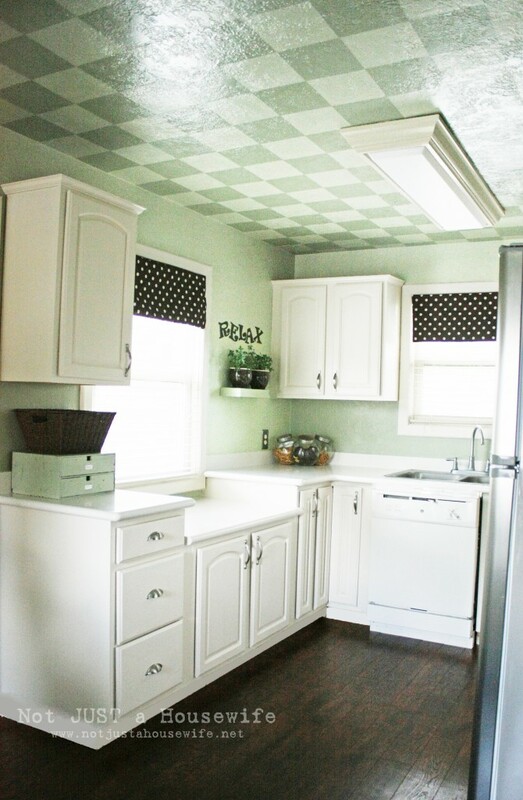 How can you talk about your kitchen and NOT MENTION the checkerboard ceiling? 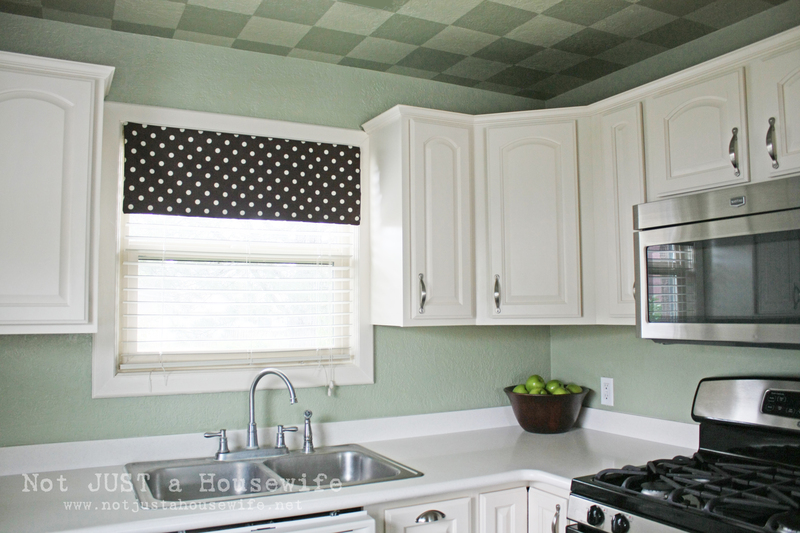 Who has a checkerboard ceiling in their kitchen? LOVE IT!!!!!!!! Tell us more! I love your new kitchen, esp. the ceiling! Beautiful job! 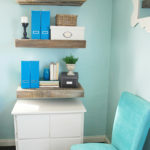 I have been wanting to do this also to my kitchen cabs..didn’t like all the steps with sanding and everything i have read about..when i found your website and you did this without sanding i was very excited our cabs are the same color as yours were. Do you mind telling me how much all the materials cost? I am not adding any cabs. Thanks!! I wish I could see it :[ your images never load for me! I love the colors. My husband and I just bought an older home and well we have some changes to make . I am working on a budget that is modest I have searched over , and for my. Kitchen and I have found it. So cute love it…. newsletter service. Do you have any? Please allow me know so thst I may subscribe.